Water provided by the San Patricio Municipal Water District is safe to drink. 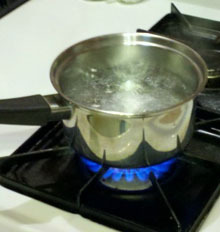 There is no need for any customers of the water systems served by the Water District to boil drinking water. District water has passed all quality tests. Customers served by water providers that get their water from the District include residents served by the following local water providers: Odem, Taft, Portland, Gregory, Aransas Pass, Rockport, Fulton, Ingleside, Ingleside-on-the-Bay, Rincon Water Supply Corp and Seabord Water Supply Corp.
A boil water notice was issued May 13th applying to treated water customers of the City of Corpus Christi due to low residual chlorine levels. The order was terminated on May 25th. Corpus Christi was doing system flushing. There was no timetable for ending the boil water notice which was required by the Texas Commission on Environmental Quality based on sampling in the city's system. Corpus Christi Assistant City Manager Mark Van Vleck said the low chlorine level was caused by runoff from spring rains into the water supply carrying high levels of nitrogen. The City and the Water District get their raw water supply from a combinantion of the Nueces River Basin and Lake Texana on the Navidad River. Due to the inability to maintain adequate disinfectant residuals in a small area, the Texas Commission on Environmental Quality (TCEQ) has required the City of Corpus Christi to notify customers of the need to boil their water prior to consumption. This applies to customers who get a water utility bill from the City of Corpus Christi. The City has been closely monitoring conditions and has identified low chlorine disinfectant levels. These levels are an important factor in reducing or eliminating any harmful bacteria in the water system. There has been no E.coli detected. The City is committed to bring the water supply back to normal levels and has increased hydrant flushing along with mobilizing additional resources in order to lift the advisory as soon as possible. When it is no longer necessary to boil the water the City of Corpus Christi provide similar notification.